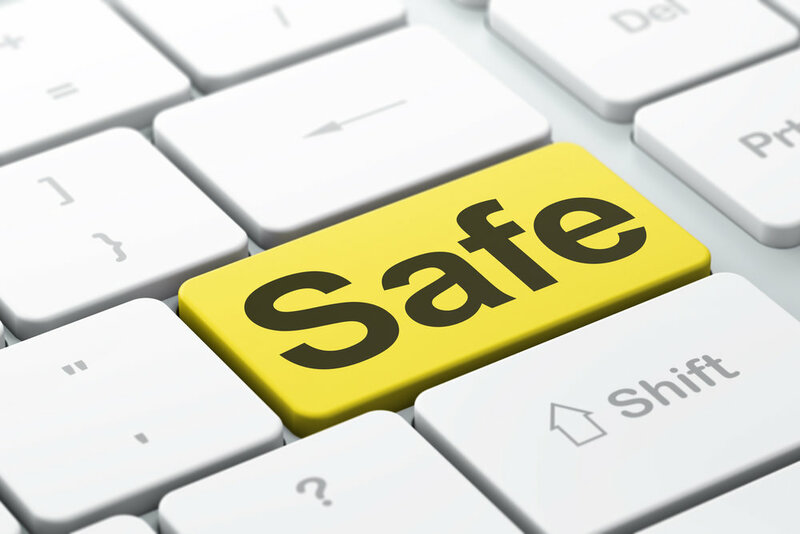 The internet is a great way to keep in contact with people, do your shopping, make payments and more – as long as you stay safe. Shopping online is so handy, it’s no wonder 72 per cent of us are doing it, but it’s important to check that your transaction is safe. https:// No ‘s’? Don’t buy. Never use the ‘Remember Me’ function of websites, particularly for your card numbers. While it might be annoying re-typing your details each time, it keeps your details safe if the website is breached by hackers. Always pay online using a credit card, rather than a debit card. If the worst should happen and you get defrauded, the credit card providers must refund you under the Consumer Credit Act. Watch out for dodgy holiday booking sites as a lot of people have recently been hit by a rising number of fake adverts for holiday villas and apartments. Always check the website is legitimate by checking they are a member of the Travel Association at abta.com. Only use secure Wifi you trust when you're doing anything that involves filling bank details so try to avoid doing this when you're using a free public Wifi network, say in a cafe or on the train. It’s useful to keep in touch with family or to contact companies, but some of the people emailing you might not be friendly. Beware of ‘phishing’ messages. They’ll come from an address you don’t recognise and will vary from unconvincing appeals for emergency cash transfers to official-looking emails from your bank. Your bank or credit card company will never ask you to send them your card details over email. If you want to check if it’s a genuine message, call the company you think has contacted you. Never click on links if the message seems suspicious, it could introduce a virus to your computer or give criminals access to your details. Make sure your junk mail filter is turned on to weed out these messages. Check it every few days, though, because it may occasionally hide emails from people you do want to hear from! Choose a password with a combination of upper and lower case letters, numbers and keyboard symbols – such as B@tm@nBEg1ns – and make it long. Passwords over eight characters are harder for criminals to break. Use Microsoft's calculator to work out how strong your password is here. Try to avoid using the same password for everything as it just makes life easier should anyone get into your computer. If you must write passwords down, make sure they are meaningless to other people by writing them in a code that only you will understand. Make sure you accept the software updates from Microsoft or Apple that pop up on your computer. They will help keep your PC protected from the latest nasties. Install anti-virus software that will block any future viruses. Before you get rid of your old computer, make sure you have cleared it out by deleting your emails, your Internet history and your passwords. Curry's KnowHow offer a £30 service to permanently delete all your computer's private data.